This Light Award is sponsored by 101 Quotes from Think and Grow Rich and processed through Kiva.org. Leonidas never had the opportunity to go to school. He is in a relationship and his partner is in the business of selling fruits and vegetables. He has two children. One of them lives with him and works in agriculture. Leonidas is a merchant. He has worked at this for the last 20 years. He learned it from his father who was a traveling salesman. Leonidas sells fruits and vegetables in various cantons, and he travels by bus. His work day begins at 6:00 a.m. until 6:00 p.m. 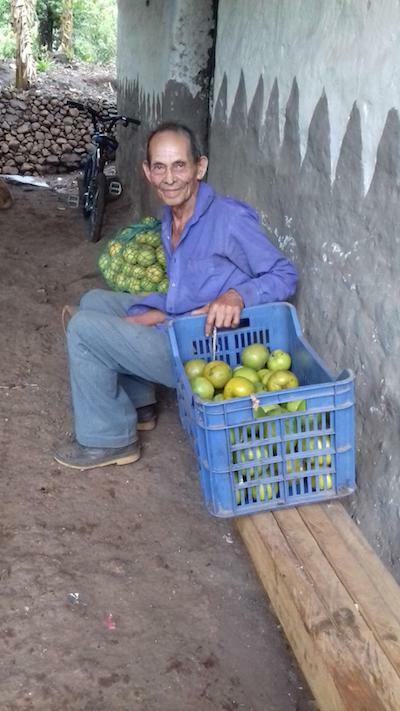 He will use the loan to buy more fruit and vegetables in order to continue selling. Leonidas would like to have a shop in town so that his son can help him with the business. Congratulations to Leonidas in El Salvador!